Everything – absolutely everything in the airline has a Singapore Airlines ‘stamp’. On 25th September, TATA-Singapore Airlines, which will operate under the brand name Vistara, publicly announced the receipt of their first aircraft, an Airbus A320-232SL that arrived from Toulouse with a tech-stop (to refuel) in the middle east. The aircraft flew in all white – without the livery of the airline. The aircraft will eventually be either stickered or painted, and the aircraft’s delay in arrival will only push the start of operations to either end October or early November, after the airline can fly the aircraft on intended routes for a series of ‘proving’ flights to satisfy the DGCA’s Civil Aviation Policy CAP3100. 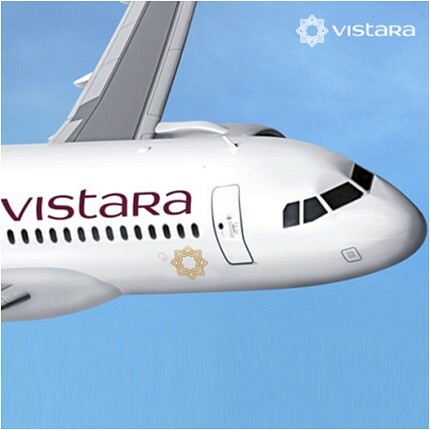 Vistara’s first aircraft – like the other 19 aircraft that are to be received over time, are leased from BOC Aviation. BOC Aviation is 100% owned by Bank of China, one of the largest banks in the world. BOC aviation, headquartered in Singapore, was formerly SALE – Singapore Aircraft Leasing Enterprise, when it started operations in November 1993. When formed, SALE was a 50:50 ownership between Singapore Airlines and Boullioun Aviation Services. In the December of 2006, SALE was acquired 100% by the Bank of China (BOC) for US$965 million. In the July of 2007, it was renamed to BOC aviation, to reflect the change in ownership. With the support of BOC, BOC aviation was able to expedite its growth, from 100 planes in 2009 – over the first 16 years – to 246 owned and managed aircraft operated by 56 airlines worldwide in 2014- just five years later. BOC Aviation has another 196 aircraft on firm order, as of date. BOC Aviation is headquartered in Singapore, and has leased airplanes to SpiceJet, and Jet Airways. Interestingly, the first ever lease to a Singapore Airline subsidiary or affiliate, although the lessor had its roots in Singapore Airlines. The 20 aircraft lease to Vistara is reportedly the largest leasing agreement in BOC Aviation’s history. TATA-SIA Airlines is a 51:49 joint venture between TATA Sons and Singapore International Airlines (SIA). SIA has invested US$ 49 Million. The TATAs, although a majority stakeholder, have no recent experience in the airline business, and the airline is expected to be pretty much run and managed by Singapore Airlines, although substantial ownership and effective control will be vested in Indian nationals. Singapore Airlines is expected to dictate how the airline will be run (executed). Vistara, a full service carrier, is expected to reflect a strong Singapore Airlines influence – at all levels of operations and perhaps even decisions. The airline’s first aircraft was ferried from Toulouse by pilots Gopal Subramaniam and Mandhesh Singh. Gopal is Chief Pilot Line Operations, Technical & Quality at Vistara, and has joined from Singapore Airlines, where he still considers to be employed. Mandesh was flying the Airbus A330s for Singapore Airlines, and previously the A320s for SilkAir, and was part of the crew that inaugurated the direct Singapore-Coimbatore flight in 2007. Phee Teik Yeoh, CEO of Vistara, has been with Singapore Airlines for nearly 23 years, and started his career with the airline as a Network Planning Analyst. Considering the CEO being a Singapore Airlines’ guy, and that he has held a wide spectrum of portfolios at SIA, prepping him for the role as a CEO, all management decisions and recommendations will pretty much be the way Singapore Airlines wants it. At AirAsia India, none of the technical or managerial positions are held by any former AirAsia employees. Historically, airlines which Singapore Airlines either has a stake in, or is a parent company of, have filled gaps in services of SIA. For example, routes dropped by Singapore Airlines, and later SilkAir, have been taken up by Tiger Airways. Together with its subsidiaries and affiliates, Singapore Airlines has managed an extensive network, catering to both business travellers and budget travellers. An Indian network was missing, and with Vistara, Singapore Airlines can offer its customers a near seamless experience and service – connecting them from various parts of India to its hubs at Singapore or stations in India, from where passengers can be connected to the rest of the world. With Singapore gradually losing out as a preferred global hub to the strategically located and aggressive Middle-East Asian hubs, through which a significant number of Indian passengers transit, capturing the Indian market, both directly and indirectly, is key. The Vistara strategy gains prominence in the light of the Jet – Etihad deal, which is aiding in diverting international traffic from India to the West. Singapore’s deep involvement in the airline will bode well for Vistara – in terms of network, service, safety, and operational service metrics of on-time performance, in-flight service, and in-flight experience. Together with brand new aircraft, Vistara as a full service carrier driven by Singapore Airlines is poised to conquer the full service market over Indian skies. ‘TATA’, on the other hand, is just a name.